Looking for the ideal destination for your romantic Valentine's Day getaway? Check out our Southeast Asia picks. Valentine’s Day is just round the corner, but if you haven’t made any plans for your special someone yet, don’t fret! We’ve got the perfect plan for you. Why not spend the occasion somewhere quiet and intimate, far from the familiarity of home? A romantic getaway is always a great idea. 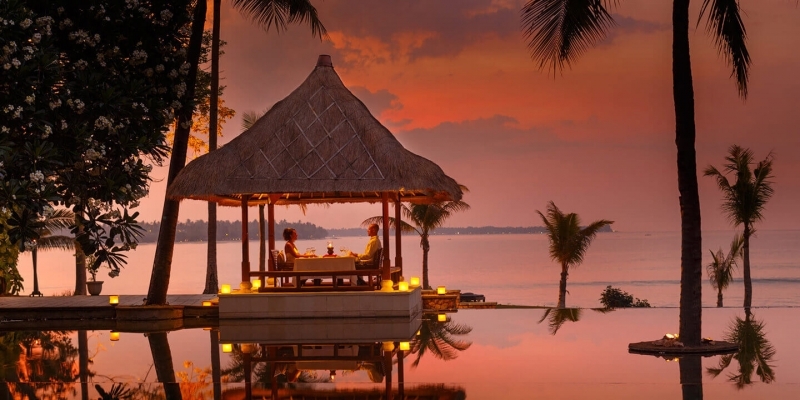 To kickstart your trip planning, here are 12 romantic getaways in Southeast Asia to spice up Your Valentine’s Day. 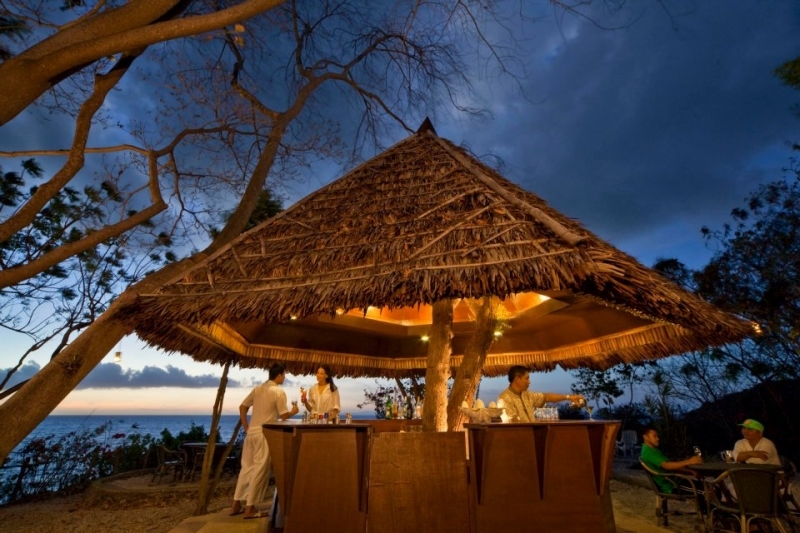 Situated along the low-key Medana Bay of Lombok (Bali’s quieter neighbour and Indonesia’s hidden beach paradise) is The Oberoi Lombok , a beach resort boasting unblocked, unparalleled views of not just the sea, but Bali’s volcanic Mount Agung behind it. Here you two can snorkel at the nearby Gili Islands, explore a traditional village on a horsecart ride, and dine on the finest authentic Indonesian cuisine in a romantic hut by the beach at dusk. 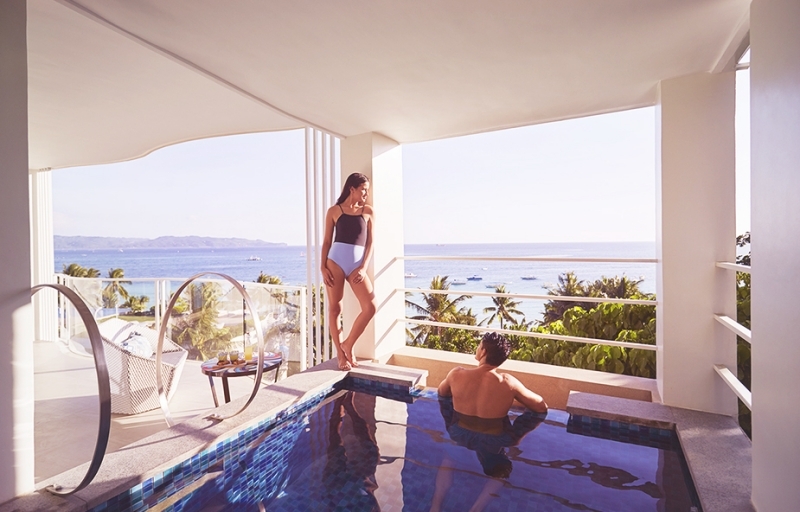 That’s not all: Book with TripZillaSTAYS and you’ll get to enjoy special rates for your accommodation, whether you’re looking at ocean-view pavilions or villas with private pools. In fact, the Unforgettable Experience package offers complimentary daily breakfast, afternoon tea and WiFi! Even though The Papandayan is located in the buzzing city of Bandung, Indonesia, the 5-star hotel still offers a quiet and cozy retreat for its guests. After marvelling at the natural beauty of Bandung’s volcanoes and tea plantations, head back to the hotel for a rejuvenating couple spa treatment, or dip in the jacuzzi, then unwind with a drink or two at HB Grill Garden or feast on Indonesian street food at Pago before getting a good night’s sleep on the plush bedsheets of your suite. 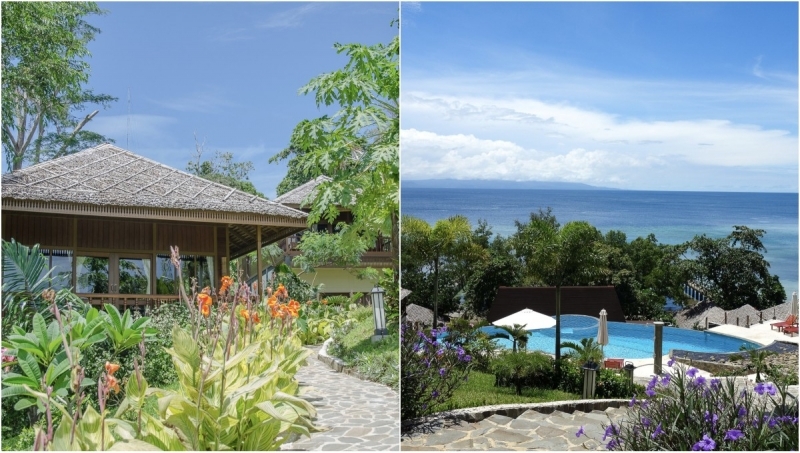 Dive into the ocean hand in hand with your partner at Bunaken Oasis Dive Resort and Spa , a hotel resort built on the steep hills of Bunaken, an island off the coast of Manado, Indonesia. The resort is known for its diving facilities: there’s a dive centre where you can learn how to dive from professionals, and a private jetty docked with with dive boats, which go out to sea so you can get an up close look at marine life! All villas here also offer a breathtaking view of the sea, easy access to the resort’s infinity pool and cocktail bar, and most importantly: privacy. 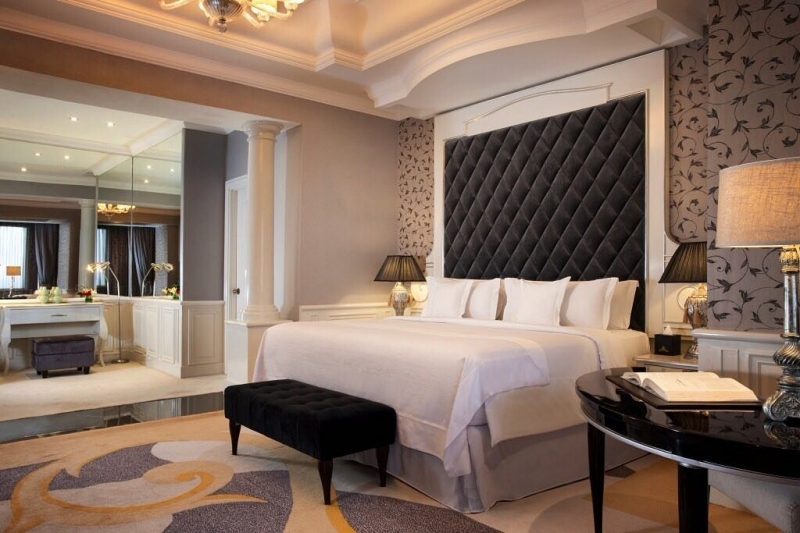 Think having a luxurious room, surrounded by lush greenery and exotic flora, all to yourselves. Perfect, no? If you book with TripZillaSTAYS , you’ll enjoy an exclusive 10% discount on all rates! So what are you waiting for? Picture you and your significant other having a candlelit dinner amongst a vast, almost never-ending paddy field, at sunset. There’s no one else around, the food’s heavenly, and the sky is a wondrous shade of purple and pink. Believe it or not, you can have this dreamy experience yourself – at The Chedi Club Tanah Gajah . 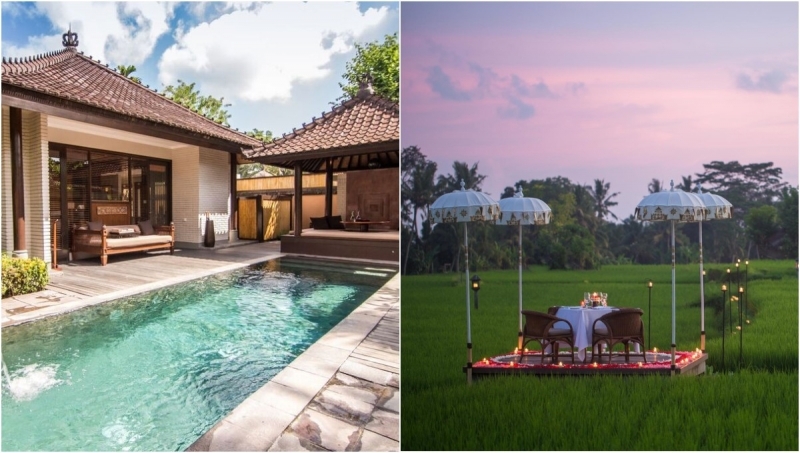 Located in the highlands of Ubud, Bali this hotel resort features a huge paddy field and lush and elegant villas, and offers several cultural and local experiences for its guests. But since it’s Valentine’s Day, why not indulge in the ultimate honeymoon-esque getaway? 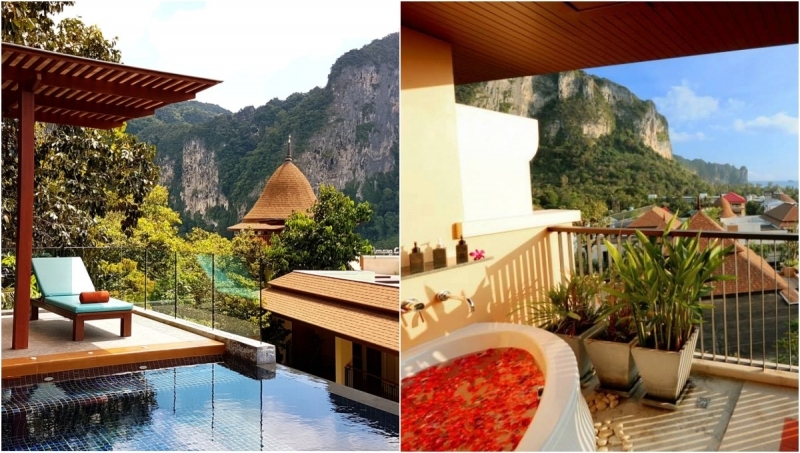 Book the Romance In Style package and enjoy an aromatherapy floral bath, a private morning rice paddy trek, a couple spa treatment, and a romantic candlelit three-course dinner, all on top of a stay at a private pool villa. 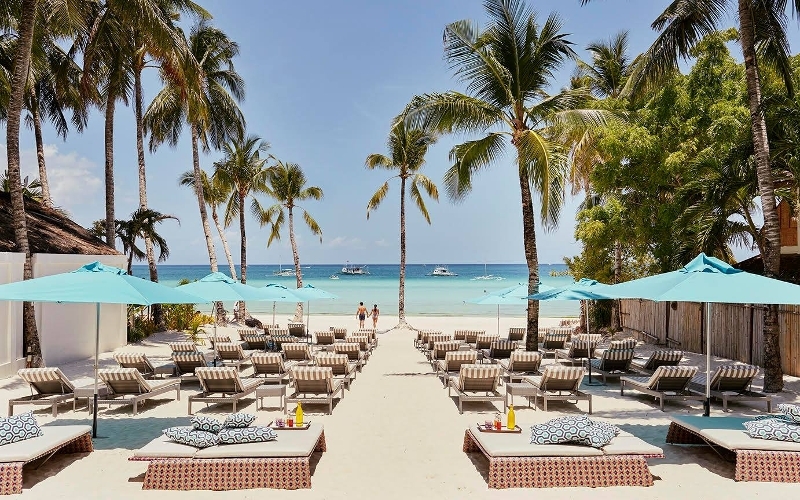 Experience the most romantic and unforgettable beach stroll at The Lind Boracay , a 5-star beach lifestyle resort nestled along Boracay’s White Sands beach. With the powder-soft, chalk-white shores at your doorstep, you’ll get to lounge under the sun with your loved one whenever you want. Alternatively, you two can soak in the infinity pool or pamper yourselves at The Spa. All rooms are stylishly designed and offer a picturesque view of either the sea, or garden and pool – but don’t just stick there! Head to +36, the resort’s bar which overlooks the entire space and promises stunning seascape views. We suggest surprising your partner with the Romance is at The Lind package , which offers a romantic dinner or a delectable buffet spread for two, then going all out with the Just For 2 package , which includes a 3D2N stay, round-trip land and sea transfers, a couple ’s 60-minute massage session, and more. Sounds good? 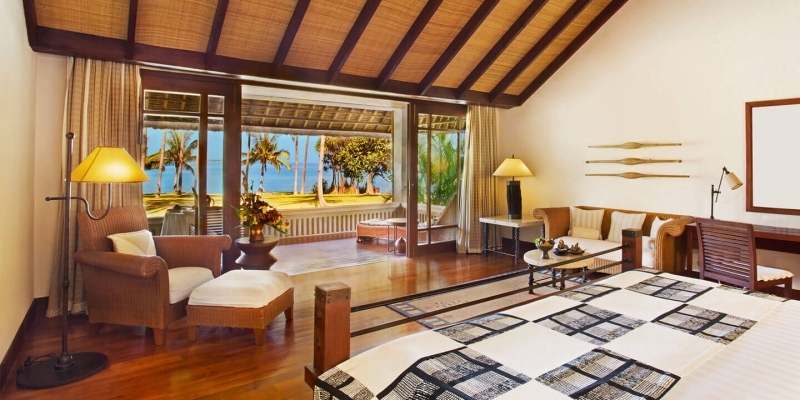 Why not spend the most memorable Valentine’s Day yet at The Lind Boracay and book now ? Can’t get enough of the tranquility of the crystal clear waters and vast jungle? Amarela Resort is where you and your partner want to be. 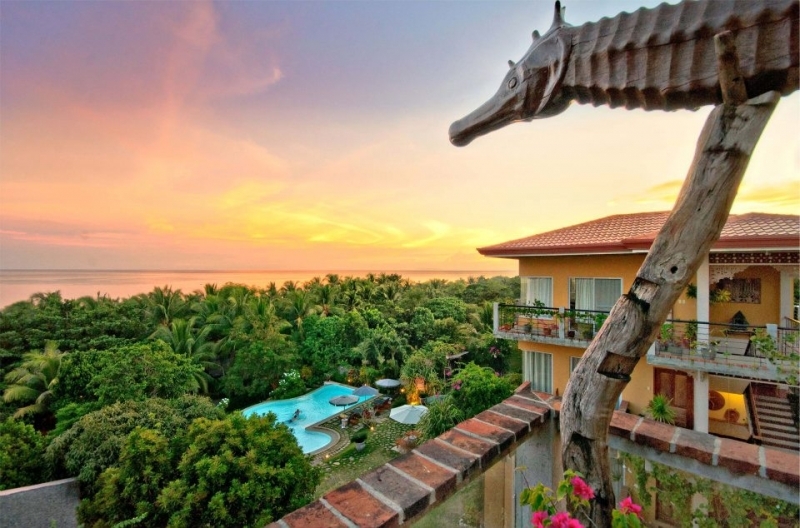 This boutique resort serves a natural retreat, with it being fully surrounded by the sea and greenery of Panglao Island in Bohol. 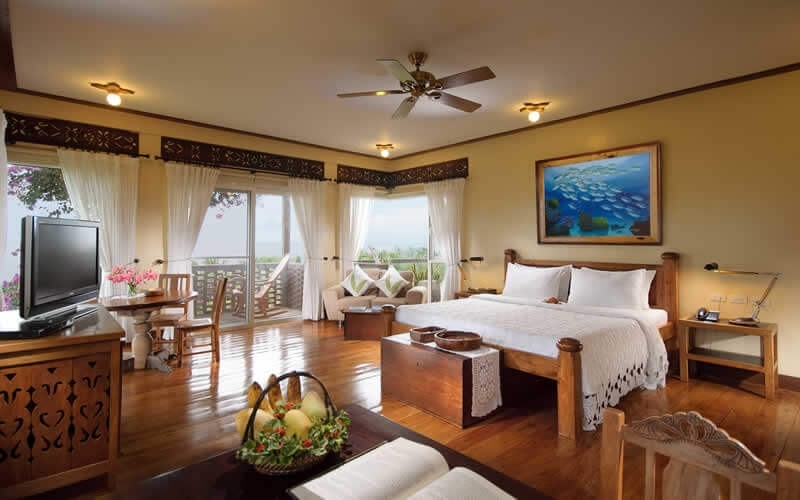 Apart from that, each room is uniquely designed with Bohol antique furniture and art, and organic Filipino dishes are served at the banquet, ensuring guests a memorable experience of the local culture and heritage. 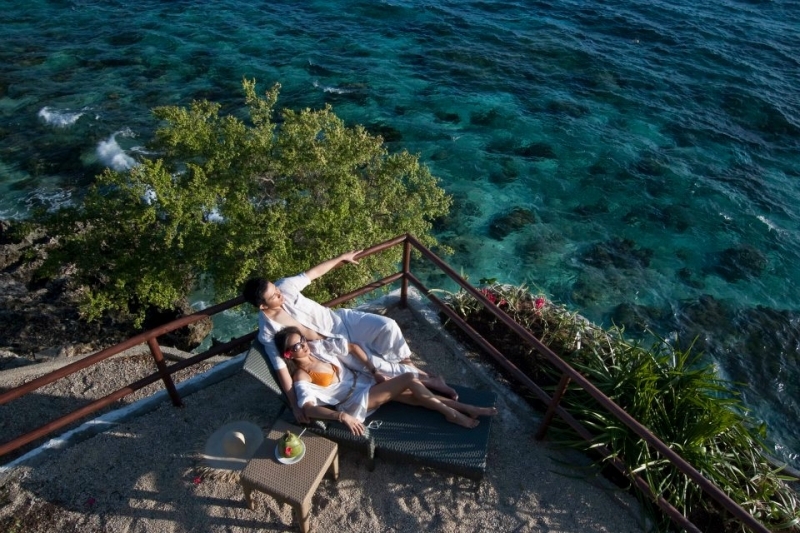 That’s not everything – if you book the Romantic Escape package with TripZillaSTAYS, you’ll get to enjoy all of the above and more, like dolphin watching, balicasag snorkeling, a massage session for two, a dreamy private dinner by the beach, and a complimentary bottle of wine. Why not make this Valentine’s Day the most special one yet ? Bluewater Sumilon is situated on the 24-hectare, coral-abundant Sumilon Island, and lies near a natural lagoon and the pristine white sand beach – perfect for couples seeking the true islander experience. Besides fun water sports like paddle-boating and scuba-diving, the beach resort also offers exciting excursions like cave tours, and whale and dolphin watching. If you do participate in those activities, don’t forget to head to the resort’s traditional thatch-roofed restaurant after for a scrumptious meal and majestic panoramic view of the island and Cebu. 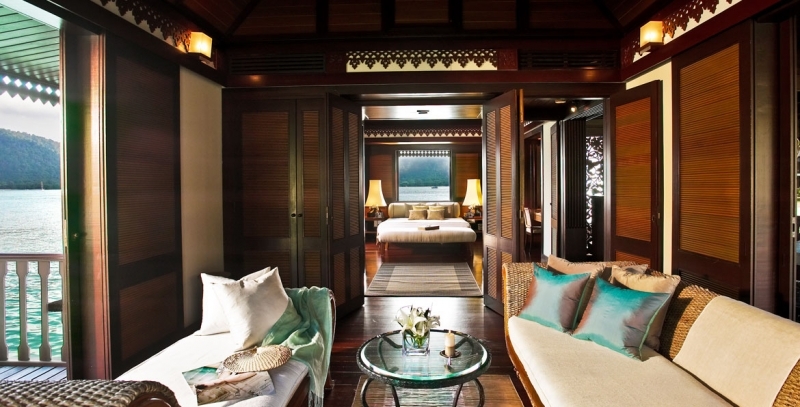 Then retreat to your spacious villa and unwind for the night by enjoying the sea-salt breeze from your private veranda. This one’s for the adventure seekers: if you and your partner are an active pair, you’ll be delighted to know that Valentine’s Day can be enjoyed both out and about, and in the comfort of your grand hotel room. 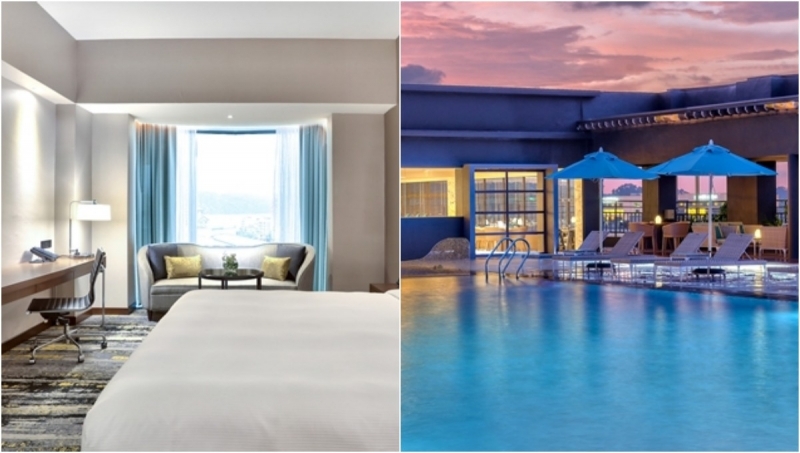 Hilton Kota Kinabalu is situated in the capital city of Sabah, and conveniently near to many natural attractions such as Kota Kinabalu, Tunku Abdul Rahman Park Islands, and Lok Kawi Wildlife Park. That’s right – after hiking and exploring in the day, the two of you can return to the hotel for some much-needed relaxing jacuzzi time, and dinner on the rooftop overlooking the city. Experience the best of both worlds during your stay here! Go on an all-new adventure with your special someone this Valentine’s Day at Pangkor Laut Resort , a luxe resort located on a completely private island in the Straits of Malacca. The luxe resort offers magnificent accommodation settings, with guests staying in a garden villa perched on a hill, or in a stilted suite out at sea. 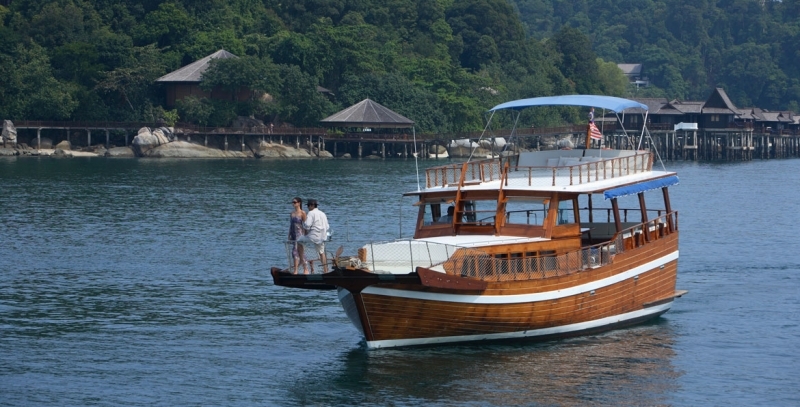 But that’s not the best part – guests also get to explore on a yacht, discover Pangkor Island, embark on a guided jungle trek, watch the sunset from a cruise, and more! Spa Village, the resort’s wellness center, also lets couples enjoy a couple spa treatment based off ancient Malay wedding traditions. If you’re looking to experience something new and exciting with your partner, this is a great place to be. Thinking of popping the question on this special day? We’ve got the perfect plan for you. 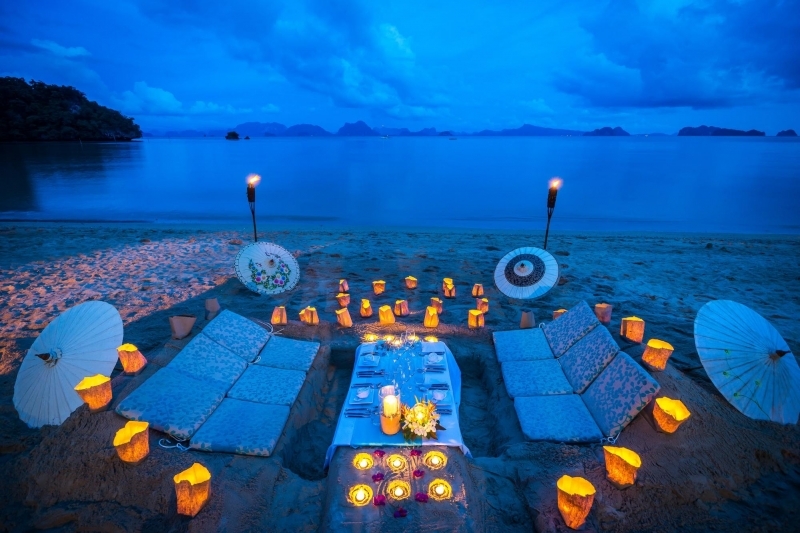 Why not do it during a romantic candlelit dinner by the beach? You’ll be away from the crowd, and right in front of a picturesque setting even. 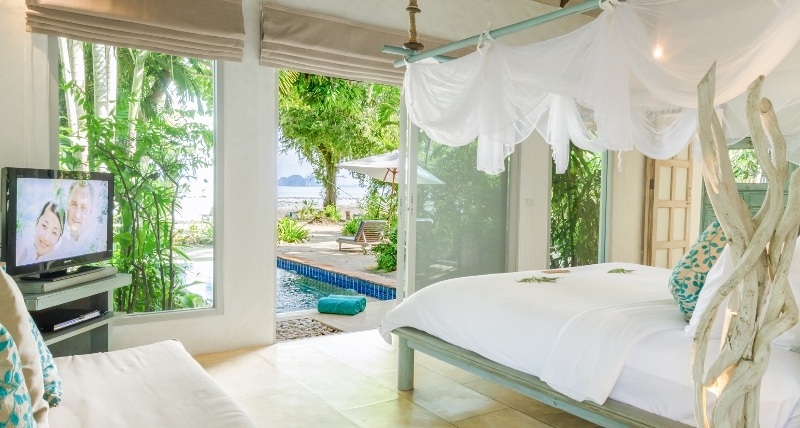 We suggest a secluded island retreat like Paradise KohYao , located near Phuket. It’s quiet and peaceful, and offers beautiful sights everywhere from its rooms to restaurants to spa boutiques. Book the Romantic Thailand package with TripZillaSTAYS and experience the true charm of this island with your partner through: a private candlelit dinner, an hour-long aromatherapy massage, a long-tail boat trip to Koh Hong, and complimentary buffet breakfast daily. Feel on top of the world (literally) at Aonang Cliff Beach Resort , a 4-star beach resort perched on the majestic limestone cliffs of Aonang, and facing the beautiful Andaman Sea. Not only is it incredibly scenic here, the atmosphere’s also calm and laid-back: perfect for a dreamy getaway. Plus Phuket’s beaches can get crowded, but that’s not a problem here, where only hotel guests have access to the resort’s private beach. Take a dip in the infinity pool and pop by the bar for a piña colada. Or, order authentic Thai to your door and enjoy your meal from the bathtub sitting on your balcony. Either way, it feels like paradise with the love of your life by your side. Phuket and Krabi aside, Chiang Mai’s a fantastic destination for couples too. With its mountainous surroundings and rich cultural heritage, many travellers find themselves leaving Chiang Mai with only good memories. 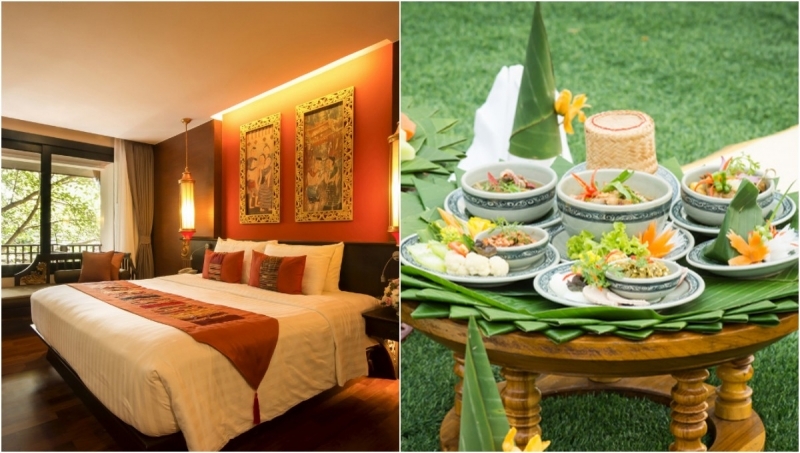 Siripanna Villa Resort and Spa is an ancient Lanna style resort, where guests get to stay in a traditionally designed villa, and experience the historical charm of Chiang Mai for themselves. Apart from relaxing by the pool or pampering yourselves at Siripanna’s signature arom:D Spa, make sure to check out the Panna field for a romantic stroll amongst the rice fields, and Huen Silp Slah, a Thai house situated in the heart of the resort, where guests can learn how to polish their Thai culinary skills. Those are the 12 romantic getaways we’ve picked. Have any of them caught your eye? We hope we’ve helped you in planning the ultimate Valentine’s Day holiday, and may you feel the love in the air on February 14th. Good luck, and make sure to check out TripZillaSTAYS for more gorgeous getaway destinations and deals!